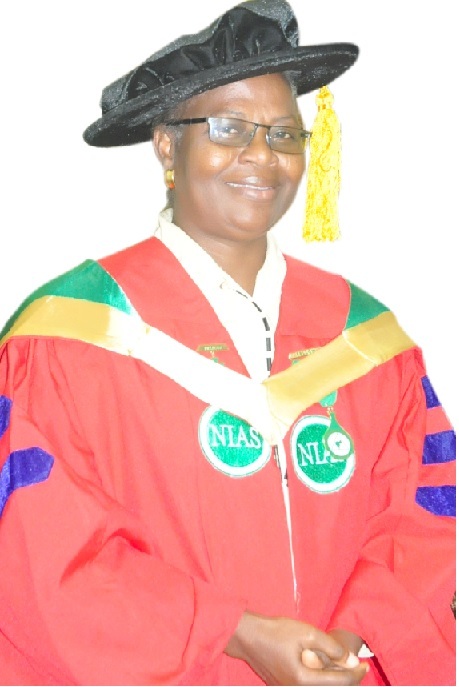 The first Nigerian female Professor of Animal Breeding and Genetics and Director, FUNAAB’s Biotechnology Centre, Professor Olufunmilayo Adebambo, has observed that the country was missing out in the development and utilisation of its Biotechnological potentials. The Director decried inadequate funding of the sector as a major challenge because Biotechnological experts require frequent travels around the country to take animal samples and analyse them to ascertain their productivity, a process that may take about four and five years to complete, as she cited United States of America and South Africa as good examples of countries that had fully embraced Biotechnology and are now enjoying its benefits. Professor Adebambo, who was recently conferred with the Fellowship of the Nigerian Institute of Animal Science (NIAS) and the first Ph.D degree holder in Animal Breeding in Nigeria, said the DNA of each human being is called the blueprint, stressing that everybody needed to know this for various reasons.“I am different from you because of my genetic makeup. You need to know your genotype yourself, to enable you know the type of food you can eat and those you cannot eat or whether you are carrying genetic diseases”, she added. 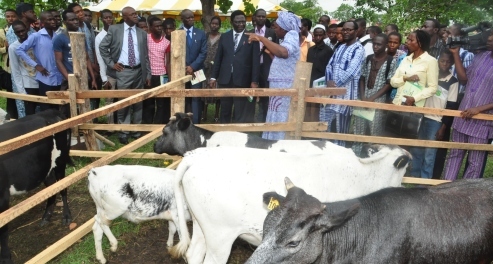 She said FUNAAB’s Biotechnology Centre was fully equipped to provide an array of services that border on Animal Biotechnology, Plant Biotechnology, Protein Analysis, Bio-informatics, among others. The Director advised members of the University community to seize the 2014 training opportunities offered by the Centre to learn about Biotechnology. She added that the Vice-Chancellor, Professor Olusola Oyewole, had approved a 50 per cent discount for FUNAAB students wishing to learn about Biotechnology for the immediate and long term benefits.